This is how Tipsy, Topsy, and Turvey came to live on Miller Farm. Tuesday morning I went out to check on the various fowl in the back yard. 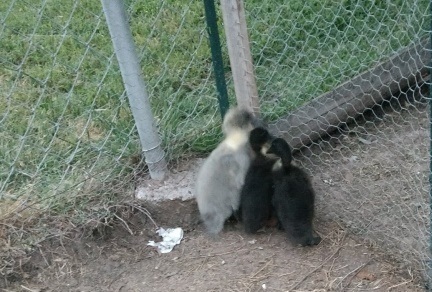 The ducklings had managed to escape their run and were visiting the chickens. I hope this is not an omen of things to come. They are really quite cute and very different from chickens. They have rounded beaks and walk with their necks stretched out. It makes me think of an elegant swan rather than a goofy chicken. Ducks also have webbed feet. Of course I knew this but now I’ve seen it up close and personal. They use these to get around in water – like a pond – which is not found on Miller Farm. We have a small tub for them to use for now. Eventually we will get a child’s swimming pool. 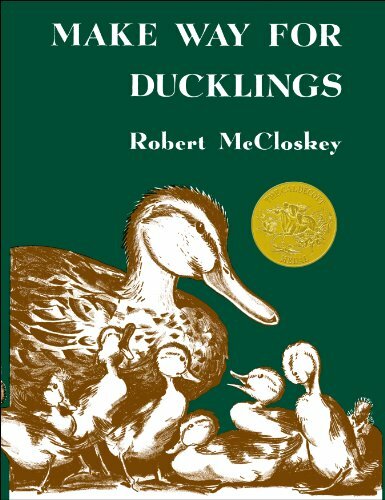 I can’t help but think of Robert McCloskey’s children’s book, Make Way for Ducklings, the Caldecott Award winner in 1941. 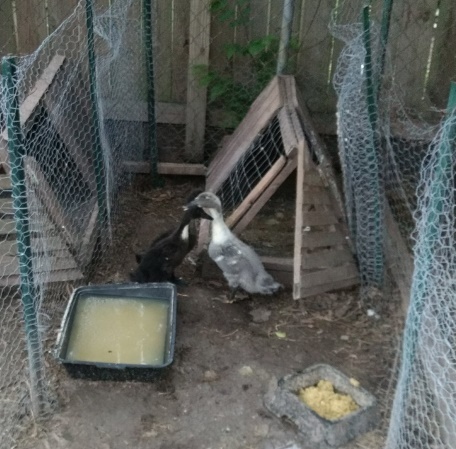 Perhaps I can write another one titled The Ducks of Miller Farm. I’m on Rachel’s side with this. I love ducks. Don’t judge us. We just love ducks.